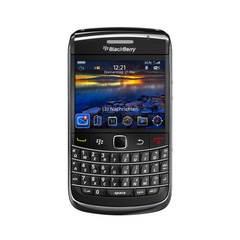 New, curvier and with that trademark QWERTY keyboard, the second Bold or rather the Bold 9700 is out now. The Bold is the executive’s Blackberry, the top-flight phone in RIM’s line-up. Key new features in the 9700 are improved camera power and battery-life. Also new is a trackpad and the whole phone is slightly smaller and lighter than its predecessor. We gladly welcome you to MUSIC STORE LIMITED, we are dealers of all kinds of Dj Equipment Such as Mixers, Speakers, Headphones Gears, Amplifiers and many more. All our products are brand new,Original , comes with complete accessories and they also come with 1 year international warranty. City, shop from the comfort of your home, office, and select items, your request and our team will bring the items right to your doorstep. Buy 3units Get a unit free ..
Await your Response and order so as to start!! The MUSICAL INSTRUMENTS are all Brand New and they all comes with 1 Year international warranty. All our products comes with original sealed box and coffin with their manuals.If you are interested in mobile please reply us for price list. And you also can add me for MSN chat. Contact global trade inc for all your musical and musical instruments. We are a Supplier of DJ and Musical Equipment at a Very Good Prices, We Sell at Wholesale and Retail prices,Our Products are Original,Brand New with Full accessories,They all come with 1 Year international warranty. All our products come with original sealed box and coffin with their manuals and complete accessories. 1. Please notify us within 30days (according to the posting date).